Stillington lost nine men, and their names are carved into a wooden plaque next to the altar in St Nicholas' Church. Born 1917 Norfolk. Parents Hanson Edward and Beatrice. 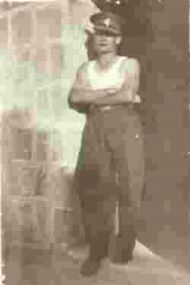 Enlisted 1936, had previously been a motor mechanic. Was based in Singapore after 1938. Prisoner of War in Japanese internment camps. Died 24/6/1944 whilst being transported by sea from Java to Japan when the ship he was travelling on was torpedoed by an American submarine and was sunk with a loss of over 300 lives. Commemorated on The Singapore Memorial. Born 1906 Tettenhall, Staffordshire. Son of Charles Henry Bullen M.D and Margaret. Executive engineer in public works dept in Burma. When Japanese forces invaded Burma in December 1941 Geoff didn't join the evacuation but stayed behind in order to destroy many of the roads and bridges he had built, helping to hinder the invading army. This allowed many civilians, his own family among them, to escape into India. After some weeks dodging Japanese forces Geoff was reunited with his wife and children in North West India where, sadly, he succumbed to exhaustion and disease. Medals: 39-45 Star, Burma Star. Born 1906 Sutton on the Forest. A nephew of Sergeant Fred Burks who was killed in action during WW1. Before enlistment on 20/8/1939, into The West Yorkshire Regiment (Prince of Wales' Own), was a telephone engineer. Wounded in March 1941 whilst a Lance Corporal with the 2nd Battalion of The West Yorks. Served in Palestine, Abyssinia, Tunisia, Egypt and finally Sicily where he was killed in action 17/7/1943. Buried Catania War Cemetery, Sicily. Born 1913 Stillington. Son of Tom, an insurance agent, and Lizzie. Enlisted 18/1/1934. Previously a farmworker. 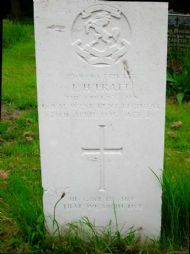 Died of Malaria 13/6/1943 aged 30. Buried Imphal War Cemetery, Manipur State, north east India. Medals: 39-45 Star, Burma Star, Victory Medal, Defence Medal. Born 1921 Stillington. Parents John Best Hutchinson and Doris. Before enlistment on 4/6/1940 worked in the family shop. Served on H.M.S. Ganges, Shotley and Highham Court. Killed in action, during Battle of Crete, 23/5/1941 aged 20. Commemorated on Portsmouth Naval Memorial. Medals: 39-45 Star, Atlantic Star, Defence Medal. Les' family took a very active part in village life and were famous in the district as bell ringers, as a result a bell (the treble) from Stillington Church was recast in his honour. See page St Nicholas' Church Guide Book for more details. Born 1913 York. Parents Charles and Amelia, who lived on Carr Lane, Stillington. Killed in Action 11/3/1942, Cyprus. Medals: 39-45 Star, North Africa Star, Victory Medal. Born 1921. Parents Herbert John and Emily. Was a joiner in civilian life. Served on 29 operations over Germany and Czechoslovakia. Buried Reichswald Forest War Cemetery, Kleve, Germany. Born 1918. Parents Harry and Mary Alice. 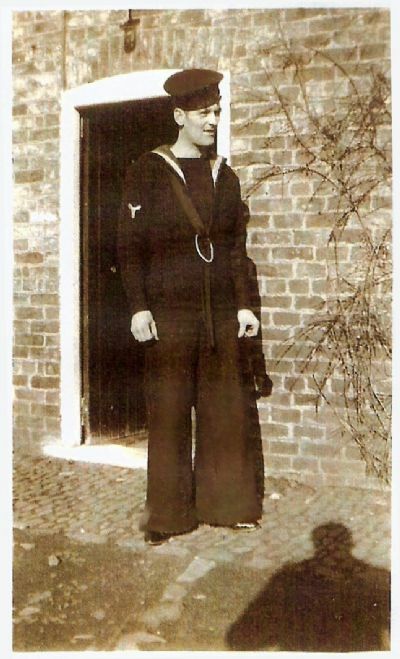 Enlisted 16/10/1939. Served in North Africa (1941) and Greece (1944), where he was wounded on 21/12/1944. 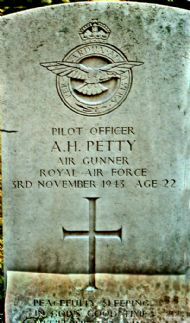 Died in hospital at St Albans 25/4/1945 aged 26. Buried Stillington New Cemetery 4/5/1945. Born 1916 York. Parents Geoffrey and Emma. Worked as a Potato Merchant before enlistment on 31/7/1939. Served in operations over France, Germany and Norway. Failed to return from an operation to Norway, 8/11/1941. Commemorated on the Runnymede Airforce Memorial. Medals: Distinguished Flying Medal, Victory Medal.